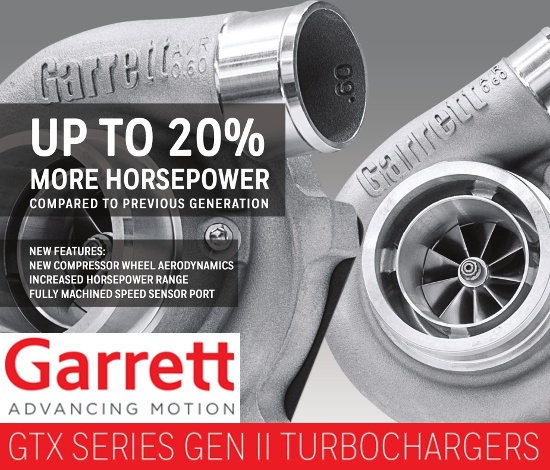 Introducing the Garrett GEN2 GTX Series turbochargers. 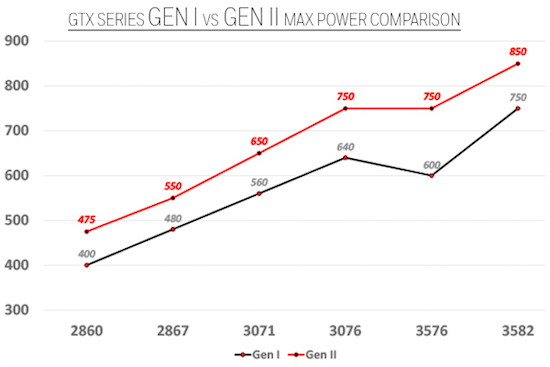 The GEN2 line includes an advanced aero design compressor wheel offering up to 20% more horsepower than the previous version. 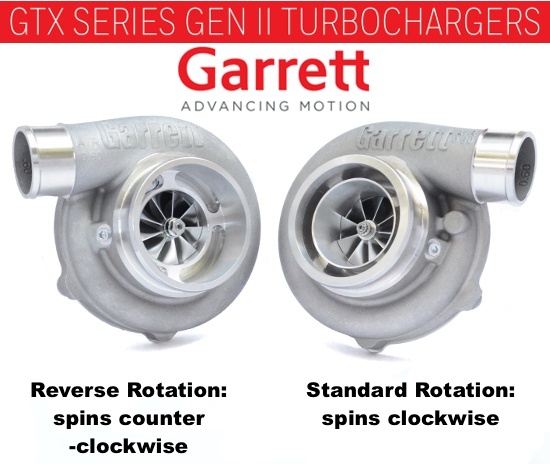 Garrett GEN2 GTX Reverse Rotation: The Garrett GEN2 GTX Series is available in reverse rotation (spins counterclockwise) models. Reverse rotation offers new housing layout options for applications where a standard turbocharger (spins clockwise) does not provide sufficient clearance. 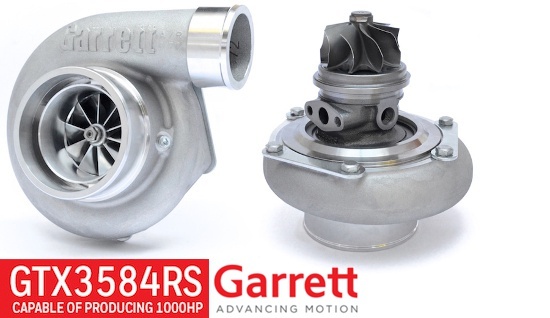 Upgrading an OEM counterclockwise spinning turbo has never been easier with the Garrett GEN2 GTX Reverse Rotation series! Achieve an equal flow and symmetrical layout twin turbocharger setup with matching standard rotation and reverse rotation models!